– and she loves it! Her students will tell you that her passion energizes them and her expertise allows them to improve. Because she developed her skills from beginner, to collegiate golfer, to an elite professional player working alongside the best players and instructors in the world, she knows what it takes to improve. 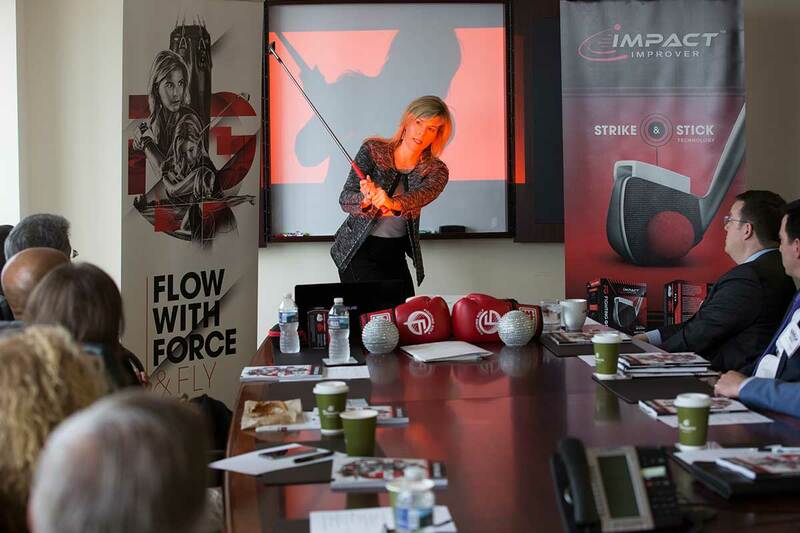 She will share ways to train, mental break throughs, and be your guide in your journey to better golf. lessons are dedicated to your specific needs: addressing movement & your mental game to get the most out of your performance. Wedge play is vitally important! Sharpen your skills around the green be it lob shots, bunker play, the bump and run. You name it, we improve it. Need a Spark? Tiffany is an experienced speaker who will add life, substance, and entertainment to any event! Her presentations are thought-provoking, interactive and motivating. Are a relaxed and fun way to learn the game with friends. Get three or more people and Tiffany will do custom sessions for you. From alignment, to stroke mechanics, to speed control , to finding the right putter, Tiffany will help you feel more confident on the putting green. GF Skipworth says it all – he summarizes the essence of Tiffany’s teaching style after reading her book, Fighting Golf. Check out the article here. Or you could ask one of Tiffany’s many students – you can see some of their comment’s scrolling below. Or trust the golfers of Loudoun County who voted Tiffany best in Loudoun for the last 5 years. 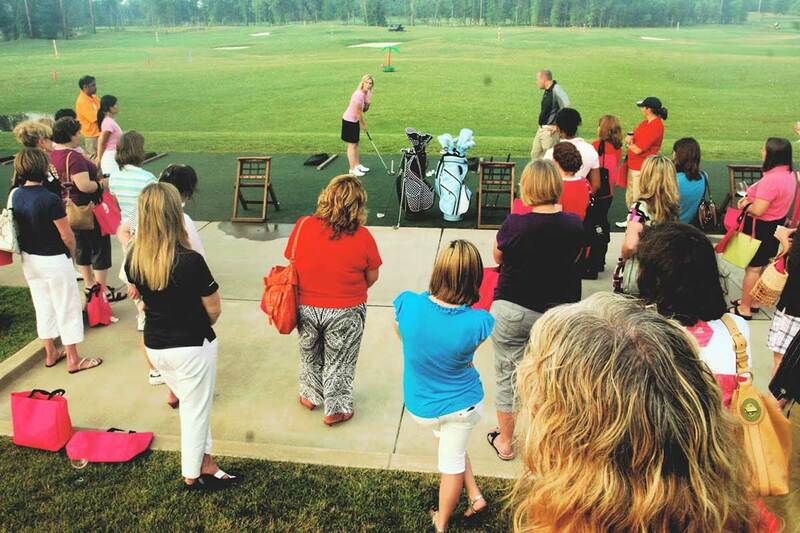 Tiffany teaches at 1757 Golf Club in Dulles , VA. The facility is lighted at night for evening lessons. Tiffany teaches at this award winning club in the summer. Online lessons will be available during this timeframe. It’s a regular habit with me. I peruse endlessly through anything that says ‘golf’ on the front, whether it’s a web site, a book, or a video. Today, I ran across a name with which I am not familiar, Tiffany Faucette, leading certified LPGA instructor. The old question arose – “Should men take lessons from women?” After watching a minute or two of of a Tiffany Faucette video, I thought that perhaps that would work just fine. I’ve had one or two sessions on the range with women in my erratic golfing life, and the results were constructive. As Faucette speaks of how to arrive at a straight angle to the target, or how to properly shift your weight, it comes through clearly. Whatever differences exist in weight transfer between male and female golfers, what she is telling me is not primarily a man or woman thing. It’s a human being thing. The next thing that caught my attention is that she isn’t trying to ‘feminize’ my swing, whatever that means. Her own is quite powerful. 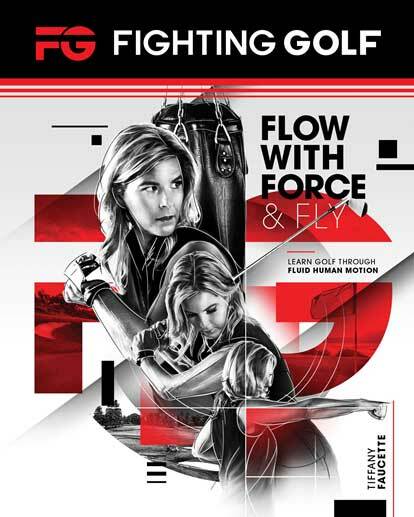 The title of her book, Fighting Golf: Flow with Force and Fly, is not about playing limp rag golf, only to make certain that it’s you fighting golf, not the other way around. I have instant empathy with anyone in a high coordination endeavor who breaks the entire action into components, polishes each one, then blends it all back into the whole until it becomes natural. I know from experience that it’s the only way to do it. You can’t just jump in holistically for a little while. The three components for hitting a straight solid shot are (a) flair your green-side foot (provided you are right-handed), (b) transfer weight and (c) turn into the finish. Without the foot flared, you are blocked from a real shoulder turn, and it’s rough on knees and ankles. Shoulder turns are prevented. Further comments on shifting weight involve being aware of one’s sternum and the zipper on one’s pants. If the sternum is over, left or right of the zipper, you’re not balanced enough to shift, and will get shoulder tilt. We can think we’re shifting, causing a good shoulder turn, but stop at the top of the backswing and let your left arm dangle. If it’s still over your left leg, you didn’t go anywhere, no matter what it felt like. Get on that right foot, and let it dangle. Now, it’s further to the right, because you got a shoulder turn to take it there. These components all come with names Faucette has drawn from our real life experiences, and although they seem a little kung-fuish at first, go with them. They’re a lot of fun. Included are “Throw a Punch,” “Pick Up a Heavy Bucket,” “Hold Off an Intruder,” and “Bored at a Cocktail Party.” At least she doesn’t do the Karate Kid’s “paint on, paint off.” Really, it’s difficult to explain what makes the instruction special, but it is. Go to the videos and give them a look. Some comments on the site include correcting a swing as relief for old injuries, and I had to wonder if the swing problem creates the injuries in the first place. As Faucette suggests, golf involves violence to be effective, but educated, controlled violence, not the kind that will send you to the weeds or the hospital. Faucette is not some old spell-caster from the hickory shaft era. She captained the Florida State University team, has received national teaching awards, and has played on three tours. I haven’t done any of that, so I think I’ll trust her on these points. The method by which she engages simple and natural body mechanics, and opens the way for a natural flow of power from your brain to the club to the ball seems appropriate for men, women, or children. It’s all built to punish the ball, not the body. I wish I had run across such a concept decades ago. I wouldn’t be yelling “oil can!” on the first tee. So, there you have it, gentlemen, that’s my opinion. Taking lessons from a female instructor can be a great idea, if she teaches principles the way Tiffany Faucette teaches them.